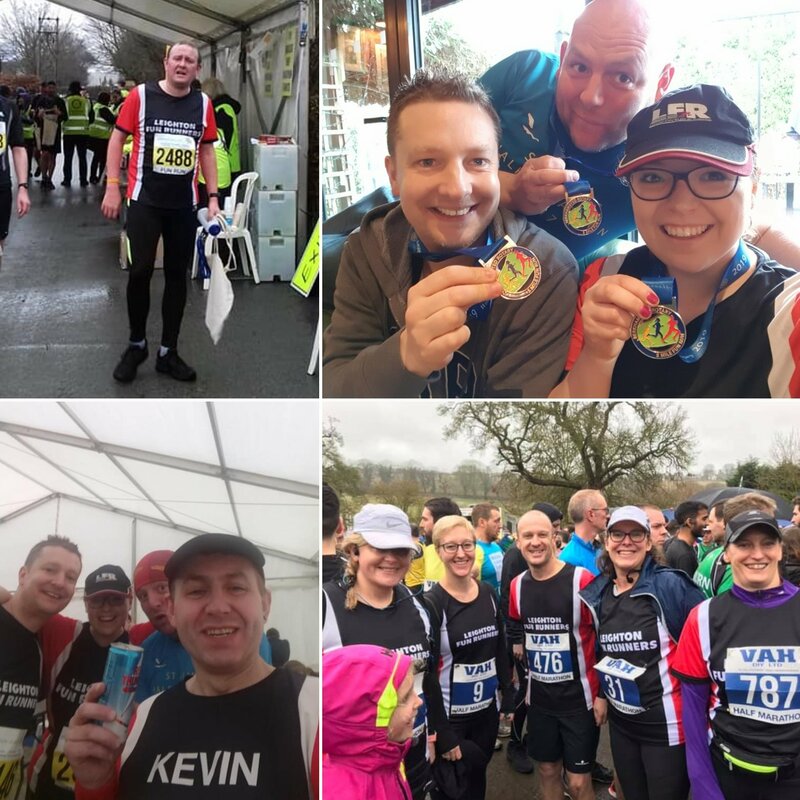 Leighton Fun Runners > Latest News > This is the week that was….weather. What a week of weather. It started off with the hottest February days on record and quickly turned to rain and a storm named Freya by the weekend. Through all this weather, of course LFR were out sweating in the heat and battling through the rain to get their runs in. It's just what we do. 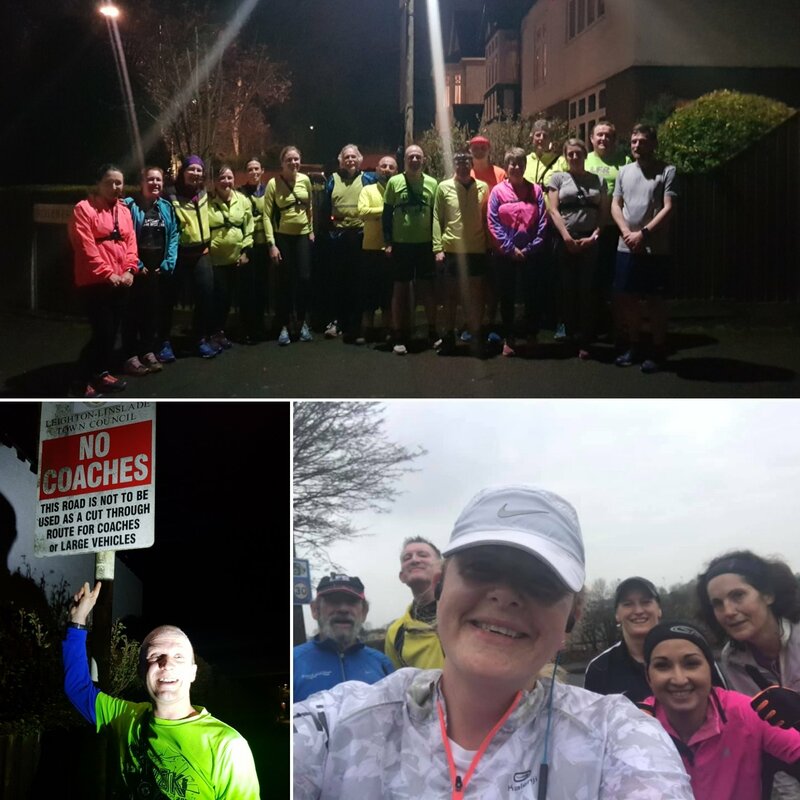 The usual club runs took place in the week which included a visit from a running mascot we'll call Jeremy - we heard news that Jeremy was spotted supporting the LBAC juniors during training on Thursday evening, only to leap off the pavement into the road. 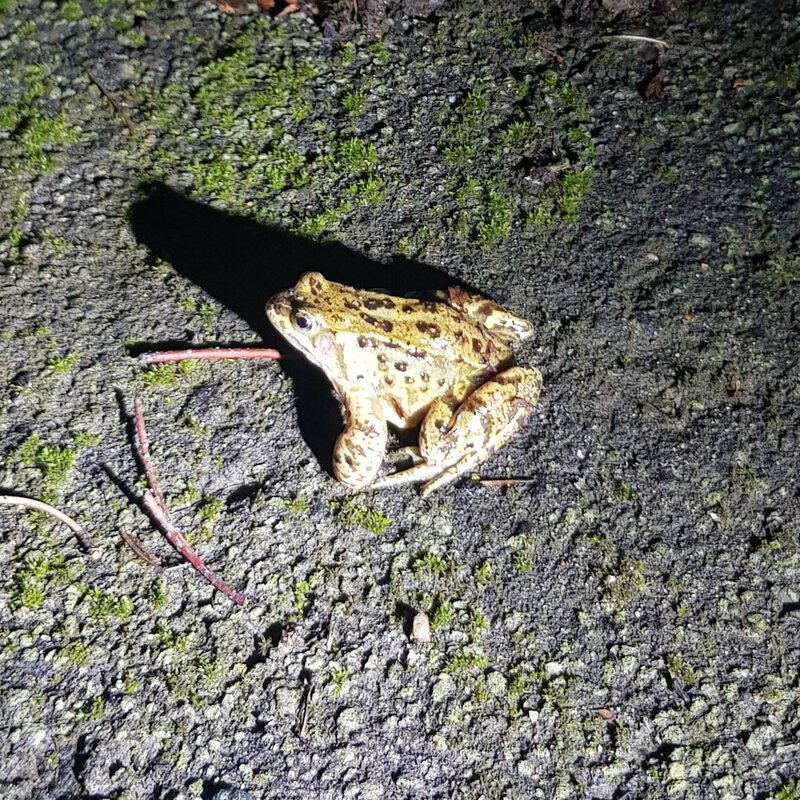 It was thought he had sacrificed himself for someone's dinner, however only a short while later he appeared on the other side of the road to support the LFR Improvers on their 800m loops. Jeremy the Frog clearly prefers the red and black. On parkrun day we had LFRs at Milton Keynes (where Paul smashed out a PB), Linford Wood, Houghton Hall, Kingsbury Water, Exmouth, and Dunstable Downs. The LFR tourists were getting the first of the parkrun compass at the sliippy, slidey trail run at the lakes of Westmill parkrun. 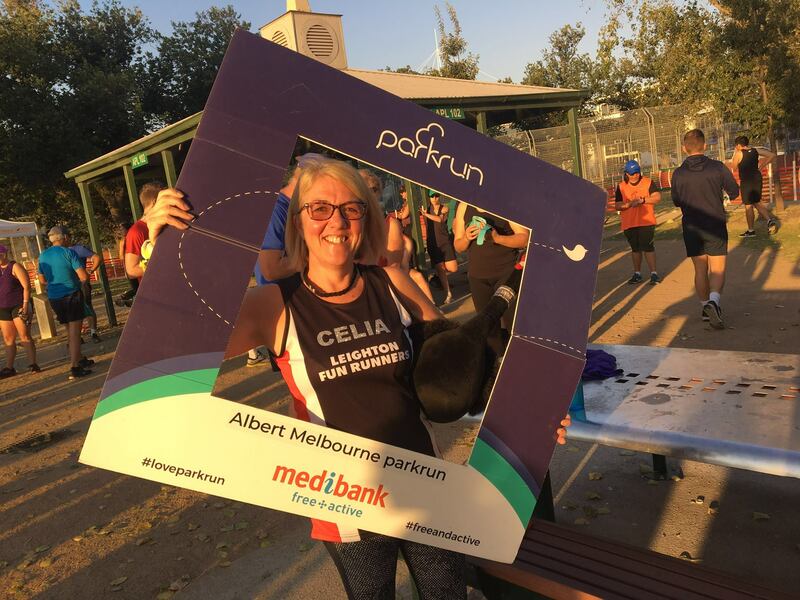 And continuing her parkrun tour, this week Ceilia was at Albert parkrun in Melbourne! Albert Park is part of the Formula 1 Circuit - 200m of the run was on the track! At home in Rushmere, following his incredible 10K PB at Winslow last week, Tom bagged himself a parkrun PB of 19.47, his first sub-20 at Rushmere. Also running Rushmere PBs were Emily and David. Great running, guys! Marathon and half marathon training has stepped up for many members this week, getting big miles in the legs. Superb efforts. Some shout outs: Amos and Caroline who ran to Dunstable Downs, completed the parkrun, and then ran back! 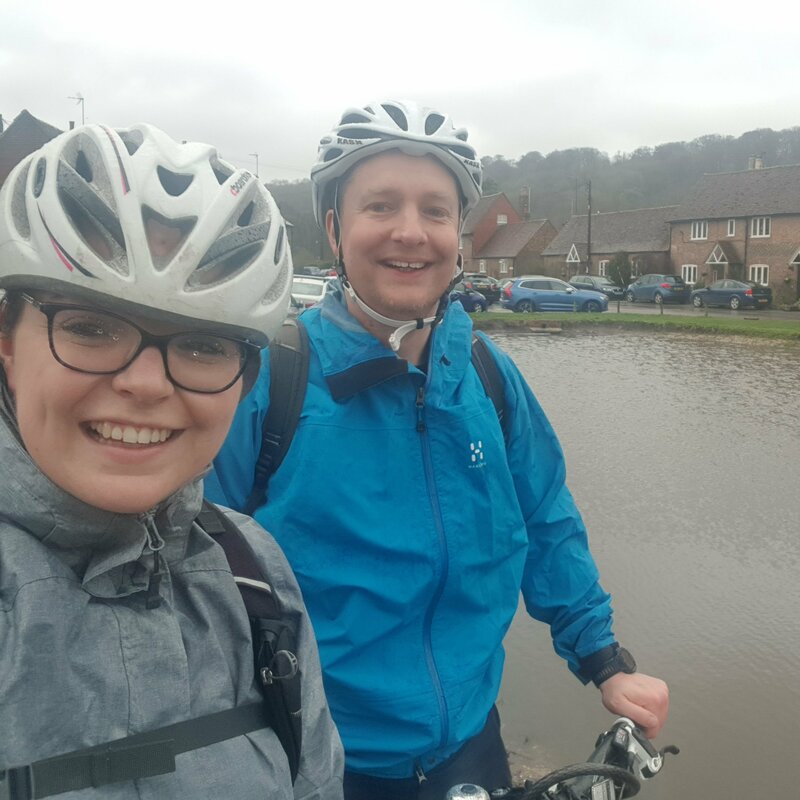 Emily, James and Colin out on a training run running a half marathon and Emily running a half PB; Team Turner getting 18 miles in on a canal out and back; and Adam who ran his first ever half distance along the streets of Leighton Buzzard. Great efforts! 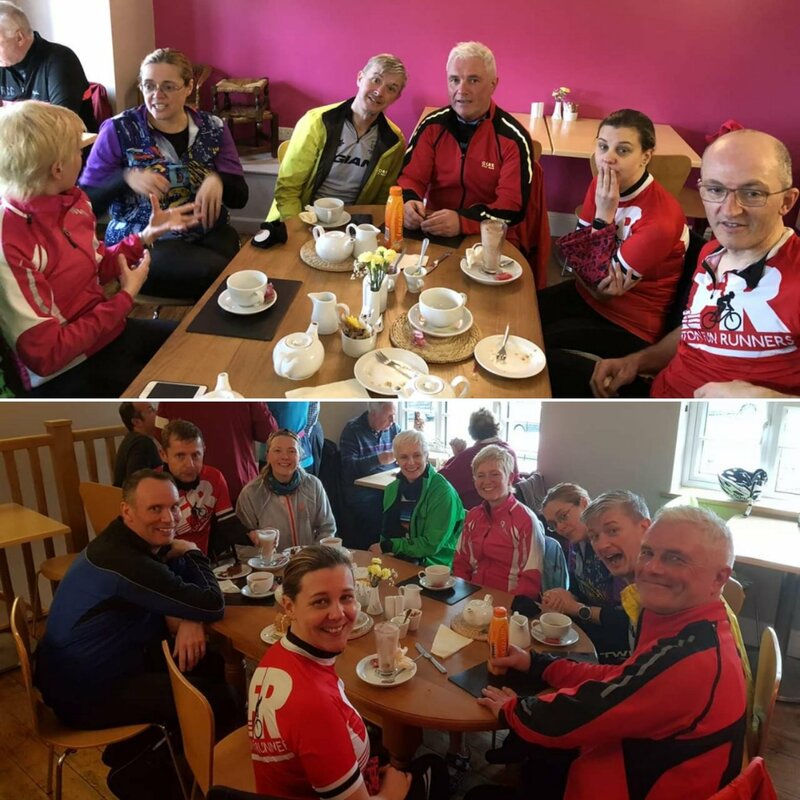 We even had the LFR Cycling Division out on training rides this weekend struggling through the wind and rain. 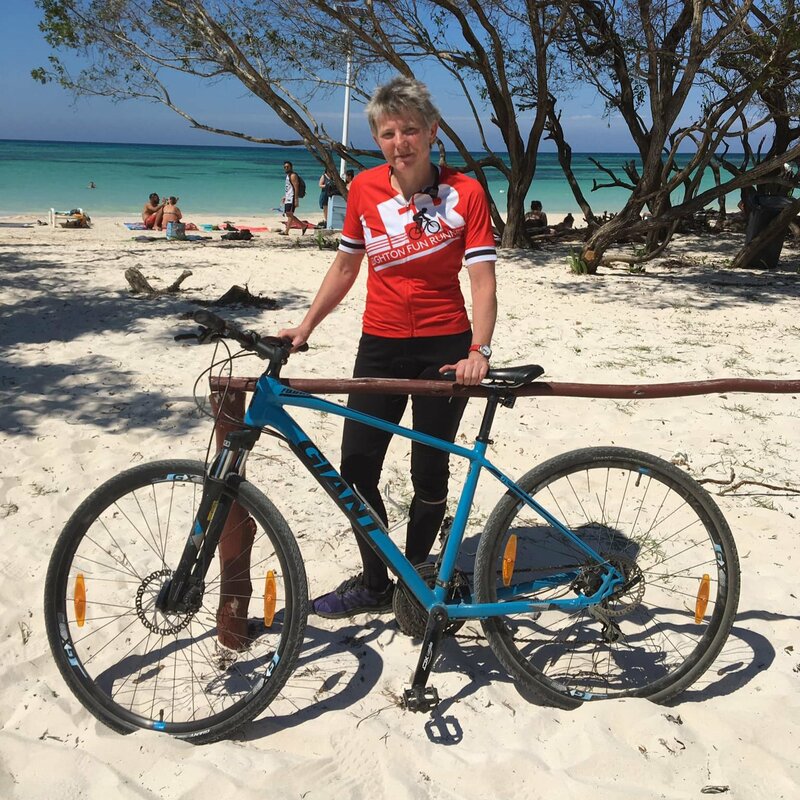 And missing the storm completely, Karen was showing off the LFR colours on her bike in sunny Cuba! If cycling is something you're interested in, don't forget to join LFR's cycling specific Facebook Group: LFR Cycling Division. This is an additional Facebook Group solely for LFR members who have an interest in cycling for all cycling related chatter to keep this separate from our main Facebook group. This is not a new group for LFR members. Jo and Fiona were at race three of the Stowe Winter Trail series. Fiona ran a 5 second PB and over the three race series for the 6K came in 5th place overall! Well done, Fiona! Steve completed the Cambridge Half Marathon. 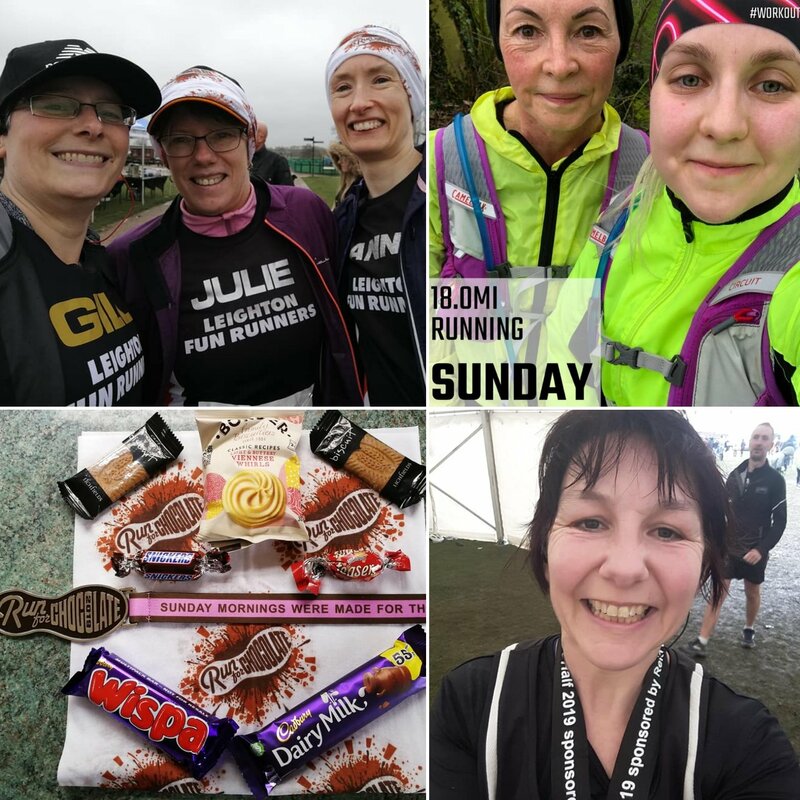 Gill , Julie and Anne took a break from the LFR standard of running for cake and this week were running for chocolate at a 5K and 10K in Milton Keynes. Chocolate themed bling and a chocolate filled goodie bag - why are we not all doing this? Anna was battling the brunt of Storm Freya at the Eastbourne Half Marathon. 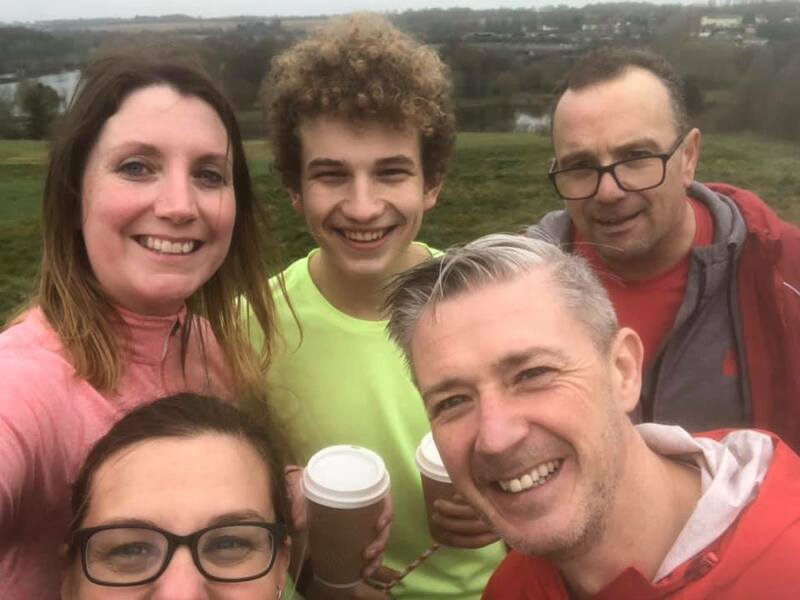 Team LFR took on the neverending hills of the Berkhamsted Half Marathon and Five Mile Fun Run - hills are fun, see... Will, the other Will, Kevin and Jen ran the Five Mile. Matt, Vicky, Nicki, Katharine and Jenny took on the half with Katharine and Jenny running a 10 minute half marathon PB on only their second half marathon - a hillier one at that. Well done all! 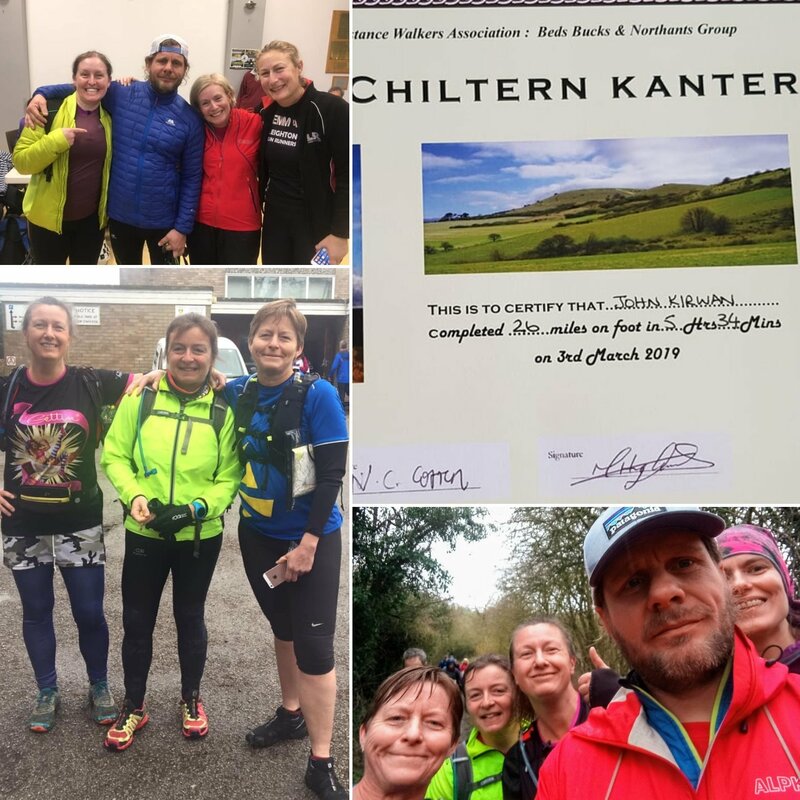 And finally the trail loving ultra heroes were out in force at the LDWA Chiltern Kanter - a 26 mile trail run starting and finishing in Pitstone. For those who do not know, the Kanter is plotting 30 grid references onto a OS Map and following the route as best you can. Mark, Ian, JK, Paul, Emma B, Charlotte, Emma D, Wes, Helen, Glyn and a couple LFR friends took on the challenge and all came out the other side without getting lost. Incredible work in the wind and rain. That's all for this week. Happy running, LFR!